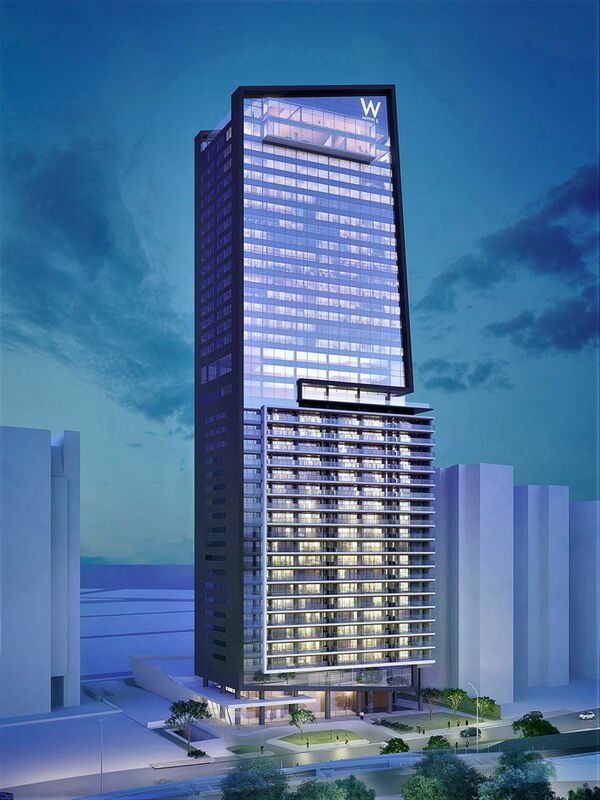 W Hotels Worldwide, part of Marriott International, Inc., today announced the signing of the brand's first hotel in Brazil. Slated to open in 2021. The hotel is slated to join this year's lineup of W openings in the region including W Panama (open as of February 2018) and W Costa Rica (opening in late 2018). Owned by HBR Realty, W São Paulo will be more than a first for W as Marriott International's first luxury hotel in the country. "Brazil is beautiful in every way, from the diversity in design and architecture, to the endless varieties of dishes, to the people themselves. Everyone wants to be a part of the action and W is no exception," said Anthony Ingham, Global Brand Leader, W Hotels Worldwide. "São Paulo specifically is a city of opposites – nature vs technology, old vs new. The city, like W, embraces its idiosyncrasies and welcomes the world to its doorstep. As our first property in the country, W São Paulo will be to be unlike any other hotel in Brazil, combining bold W design and the brand's dynamic lifestyle with a Brazilian twist that adopts São Paulo's unique allure." Designed by Nini Andrade Silva and the W brand's renowned design team, W São Paulo will feature 179 luxe guestrooms, including two WOW Suites and one Extreme WOW Suite (the brand's take on the Presidential Suite), as well as two feature restaurants including rooftop dining with sweeping views of the city and a signature Living Room (lobby) bar. W São Paulo will also welcome guests to fuel their stays with a state-of-the-art FIT center and expansive WET Deck (pool). Ultra-modern event facilities will take meeting and social gatherings to the next level with approximately 1,500 square meters of meeting space. São Paolo is a busy metropolis where striking modernist architecture is set against a vibrant tropical landscape. The aesthetic of this unique property will juxtapose the modernist traditions of the great Brazilian architects with its dreamy, tropical landscape. From the lushly planted ground floor level with gardens and meandering paths to an iconic rooftop with an infinity edge pool, design details will honor the local culture and vibrant people of Brazil. Situated in the popular Vila Olímpia business district in São Paulo, the property will be just two blocks away from JK Iguatemi, one of the city's leading upscale shopping areas with numerous luxe shops and happening dining venues. W São Paulo will be surrounded by a mix of high-end residential towers and a broad range of nightlife and entertainment. The hotel will be approximately five kilometers from the Congonhas Airport and 25 kilometers from Guarulhos International Airport. "HBR Realty, in association with Helbor and Toledo Ferrari, is very proud to collaborate with Marriott International in bringing Brazil's first W hotel to the vibrant metropolis of São Paulo," said Andre Agostinho, Director, HBR Realty S.A. "This global brand represents uniqueness, modern luxury and the highest standards in hospitality. The bold exteriors of W São Paulo, planned to be designed and constructed as a work of art, will offer exclusive accommodation paired with a buzzing scene at one of the most coveted addresses of São Paulo." "Marriott International is excited to bring W to São Paulo and with it, elevate the hospitality offering in the region," said Laurent de Kousemaeker, Chief Development Officer, Caribbean & Latin America Region, Marriott International, Inc. "The expansion of Marriott International with this luxury hotel demonstrates our commitment to this important country, where we now operate 15 hotels."